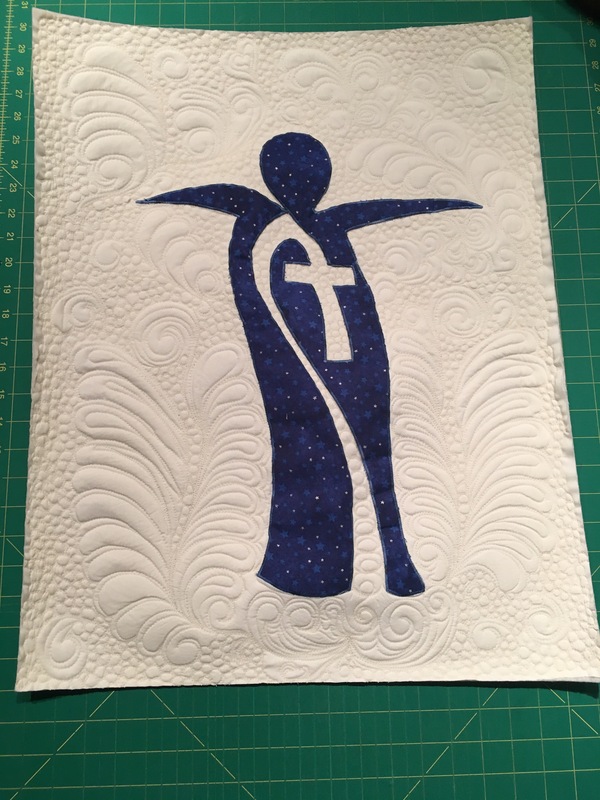 It’s been awhile since my last blog post, it’s been busy at my place, last minute Christmas orders and my own Christmas sewing. I wanted too share a few special projects with everyone, the reason I decided too use this design and the inspiration behind them. The first one is a beautiful blue angel 😇 with a cross in the center, this one is a gift for a family member. It represents, faith, hope,peace and the promise that Jesus is coming soon!! It’s quilted with feathers that billow from the bottom representing clouds with angel feathers on each side I absolutely loved quilting this one I let the quilt talk too me, as each one I quilt is unique and tells its own story. 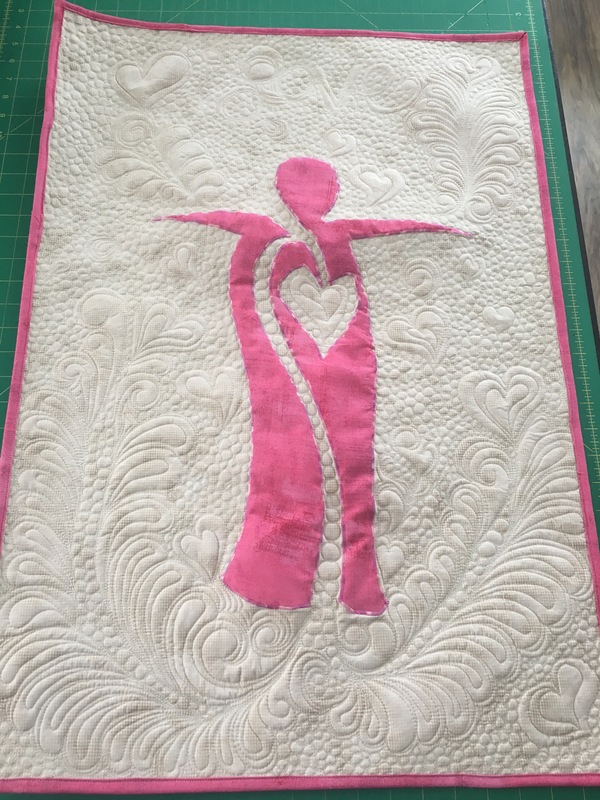 It is top quilted with feathers and swirls that curl in too hearts 💕 with the word Love across the top finished off with pebbling. I had a lot of fun with these two special projects, I hope you enjoy reading about the journey and also where the idea that I had originated from! !